I had the pleasure of live-sketching again recently and this time it was for a private event for Patek Philippe Annual Calendar Collection. Thank you, Cortina Watch Team, for having me. Scroll down to see more of fashion portraits that I did for some of the wonderful guests that evening. When I first started my freelance illustrating career, the thought of sketching and painting in front of an audience had seemed like the most daunting thing to me. I am actually quite an introvert and a rather private person so I had never relished being in the public eye. 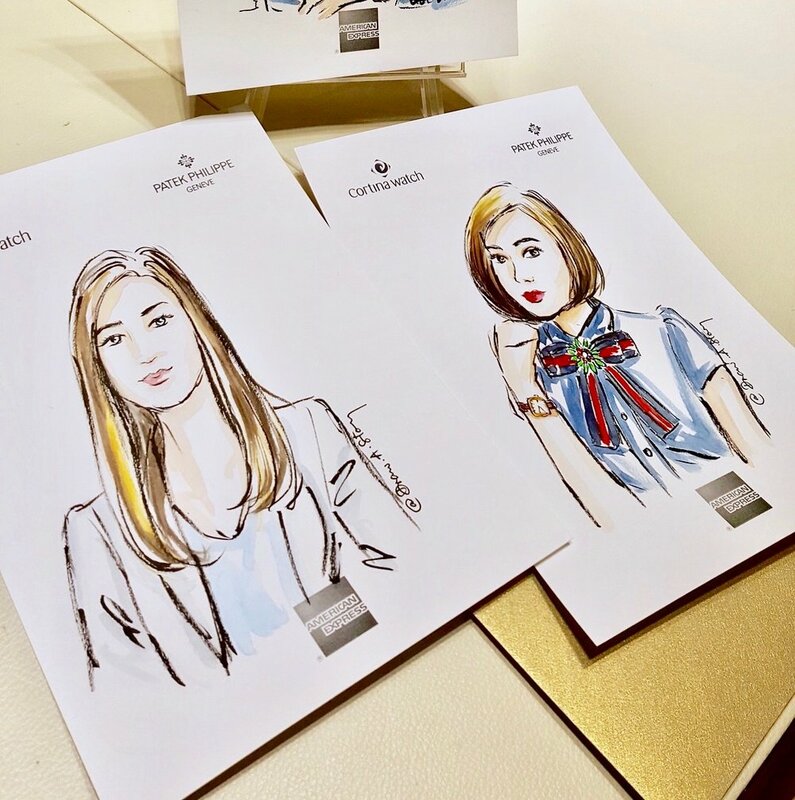 But surprisingly, I found that I had honestly enjoyed the live-illustration sessions. I guess that it must be because I truly love what I do and there is nothing more rewarding than sharing my love for art. And the best thing....I get to meet some of the most interesting and nicest people out there.